This observation was on a moderately treed slope (great for tree skiing) sheltered and almost due North. On both tests I got collapse under the shovel with no propagation across the column. The section collapsed but did not jump out. After 1st test I tried a shovel shear on the remaining 60cm and it popped with very little pressure and fell to my feet. Of course the shovel shear is not quantifiable but note worthy none the less. Also while digging the pit the 5cm ice layer is very solid so while trying to clean an edge the faceted layer beneath would shoot out from under the layer. Ultimately I had to use the snow saw to clean a wall across the front and maintain the structure. Again the ice layer was very solid so I was striking it with a tremendous amount of force when getting that response. East slopes mostly melted out accept where treed. Snow became some what consist just below 7000' but thin in many areas. Accept where melted to the ground recent snow was on an ice crust with no bonding. While booting and skinning on steeper slopes even in ski crampons continued sliding on crust as snow had no attachment. 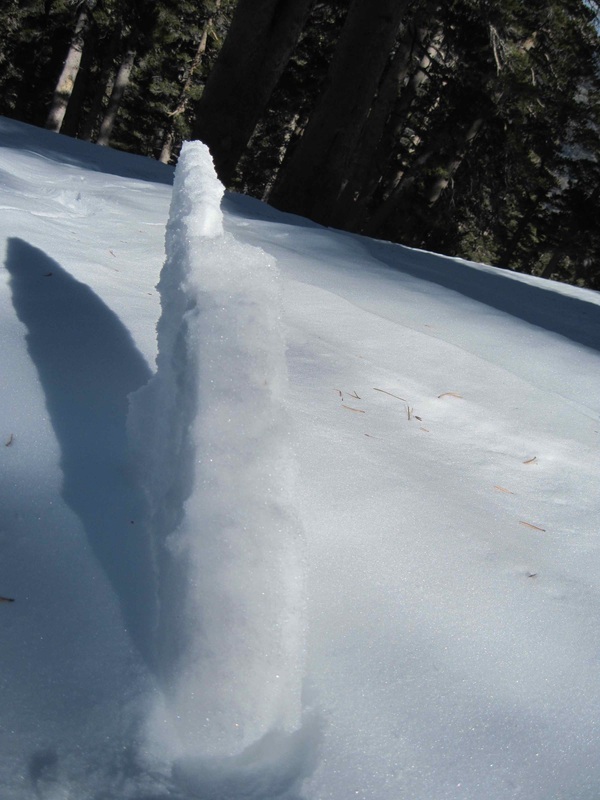 About 8000' snow on crust with facets below. Descended a slightly E of N drainage back to car on my splitboard. Upper slopes mixed powder and bullet proof in trees. Once in drainage powder most of the way down. 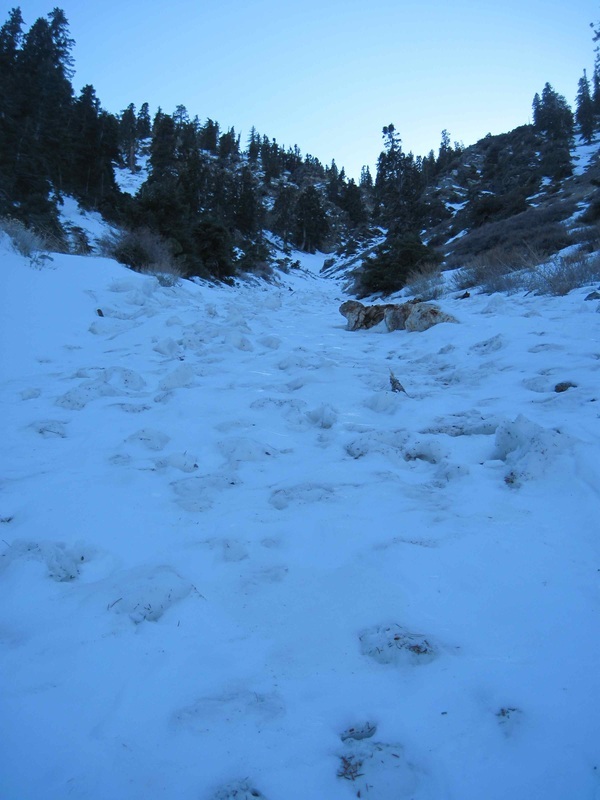 Again lots of heavy sloughing as there was no bond of the recent snow to thick crust below. Snow was deep enough to get good powder turns but still had to watch for rocks in some areas. Lower part of drainage was filled with frozen avi debris as noted above. Ultimately I would use extra on caution on any slopes over 30° as the pit tests are isolated areas and there is definitely week layers beneath the crust. Watch for signs of whompfing, shooting cracks and hollow sounds. Just be very aware.